A Pennsylvania man has been indicted by a grand jury on a murder charge following the death of his 5-month-old son while their family was vacationing in Corolla in July. According to a Currituck County Sheriff’s Office news release, deputies and Currituck Fire/EMS were called to the 700 block of Lakeview Court in Corolla on July 17 in reference to an infant who was not breathing. Franklin Thomas Imschweiler was taken to Children’s Hospital of the King’s Daughters in Norfolk for treatment. He succumbed to his injuries on July 22. 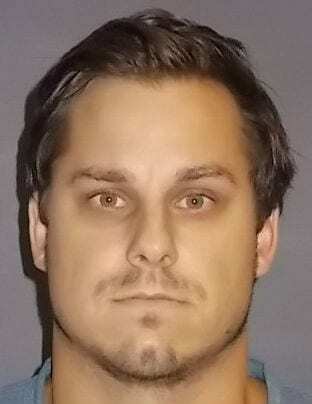 On July 20, a felony child abuse warrant was issued for Thomas William Imschweiler, 31, of Harrisburg, Penn. He was taken into custody and brought back to Currituck County. A grand jury upgraded the charges against Imschweiler to murder on Sept. 17. According to the indictment, Franklin had suffered serious head injuries sometime between July 14 and 17. William Imschweiler remains in custody at the Currituck County Detention Center without bond.